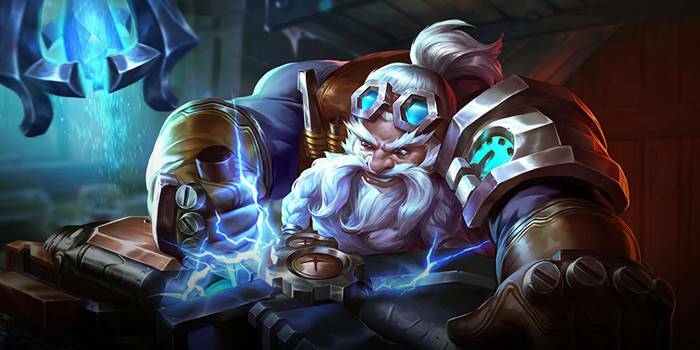 Guide for the hero Moren, a character in Arena of Valor (AoV). Included are Moren’s abilities, statistics, attributes, strengths, weaknesses, and more. These are Moren’s attributes on the mobile version of Arena of Valor. Click here for his attributes on the Nintendo Switch version. Moren’s movement speed is increased by 40% for 1.5 seconds. His next normal attack within 5 seconds fires 2 bullets, each dealing 25 (+0.85 AD)/(+0.91 AD)/(+0.97 AD)/(+1.03 AD)/(+1.09 AD)/(+1.15 AD)ˀ physical damage. Moren also gains 25/34/43/52/61/70 armor and magic defense for 5 seconds. These effects can be extended by successfully landing normal attack up to 7 times. Control Moren knocks back enemies and deals 150/200/250/300/350/400 (+0.6 AD) physical damage. Also reduces enemy movement speed by 30% for 2 seconds. Can push enemies through walls. Moren launches a magnetic grenade towards the target area. The explosion triggers a magnetic storm over 2.5 seconds, dealing 180/240/320 (+0.3 AD) physical damage 6 times to enemies in the area and reducing their movement speed by 50%. Enemies knocked into the storm by Impact Barrage are also stunned for 1.5 seconds. Moren is a powerful Marksman that gets stronger as the battle rages on. Farm with Precision to buy better equipment that increases both survivability and damage. Our recommended order for Moren abilities as he levels up.